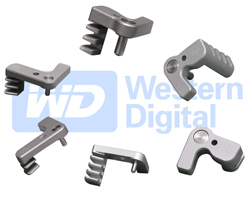 These tools nearly support all Western Digital 2.5"and 3.5" hard disk drives, with heads in inner and outer sectors. They cannot solve incompatibility issues. 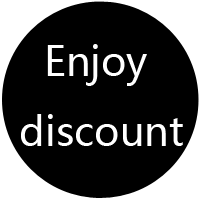 They can only support hard disk drives, with easy and safe head replacement. 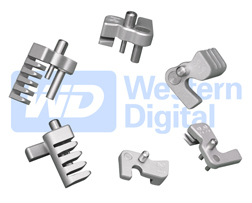 Head replacement tools (head combs) offer a safe and easy way to replace the magnetic heads of hard disk drives. These tools can ensure a non-contact head replacement. That means there is no contact between the heads, or between heads and platters when you disassemble donor heads and install heads on malfunctioning hard disk drives. Heads can be transferred from donor to malfunctioning hard disk drives in a few easy steps. During the process of head replacement, heads do not touch each other or make any contact with the platters. 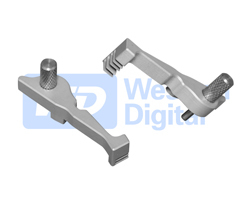 Each head change tool is designed for specific brands and models of hard drives, and these tools are not generic since mechanics of different hard drives doesn't match.